The Asus has unveiled a new Zenbook and 3 hybrid laptops in its Transformer Book series at Computex. The Zenbook NX500 of Asus is an Ultrabook which has a 4K display panel. This Transformer Book series of laptops has a Flip, which offered a hinge that enables the screen to be set at any angle between zero and 360 degrees. On the other side, the Transformer Book V is a Windows 2-in-1 laptop which is detachable Android phone. The company has also claimed that this laptop is the thinnest 12.5-inch detachable tablet. The Asus Zenbook NX500 ultrabook has a 15.6-inch Ultra HD display screen. And the system is powered by Intel Core i7 processor, which is combined with a NVIDIA GTX 850 graphics andsupports up to 16 GB of RAM. The Zenbook NX500 is just 19 mm thick and weighs 2.2kg in size . Moreover, the hybrid has a titanium-film speakers and SonicMaster audio technology, that combines the ICEpower, and Bang and Olufsen technologies. 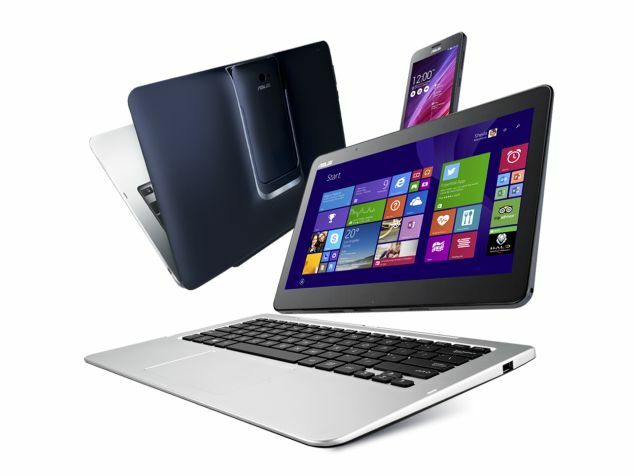 The Transformer book series is available in three variable screen sizes such as- 13.3-inch, 14.0-inch and 15.6-inch. And, the Book Flip is also powered by up to Intel Core i7 processors, and up to Nvidia GeForce GT840M discrete graphics. It also offered a full-HD (1920×1080) touchscreen. Asus has incorporated 6mm-diameter actuators, which are more than the 9mm industry standard. Transformer Book V of Asus is a Windows 2-in-1 laptop with a detachable Android phone which can workes in 5 different modes. It runs Windows 8.1 on Intel Core architecture. The 5-inch Android 4.4 (Kitkat) phone runs a 64-bit Intel Atom quad-core processor with LTE. Docking the phone displays Android interface displayed within Windows 8, and it can also be switched to a full Android 4.4 (KitKat) tablet interface.Simply it means that the Transformer Book V can run both Windows 8.1 OS and the latest Android platform also. The 12.5-inch detachable tablet, the Transformer Book T300 Chi laptop has LTE support which is equipped with a 2560 x 1440 WQHD IPS display and has a slim 7.3 mm frame. This hybrid laptop is powered by Intel processors. 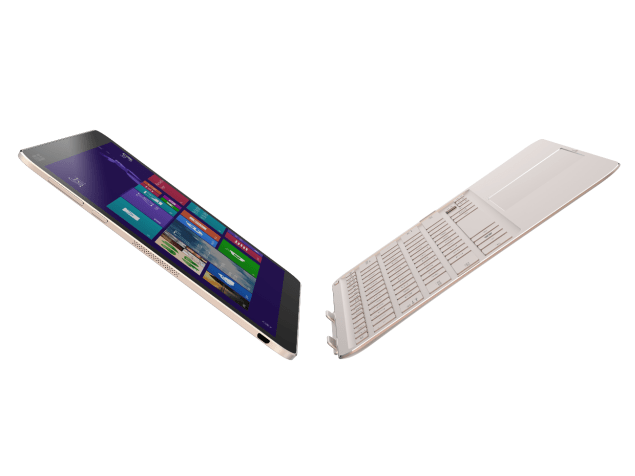 This device is also called a ‘fanless 2-in-1 design’ which basically means that the hybrid device doesn’t have a fan.